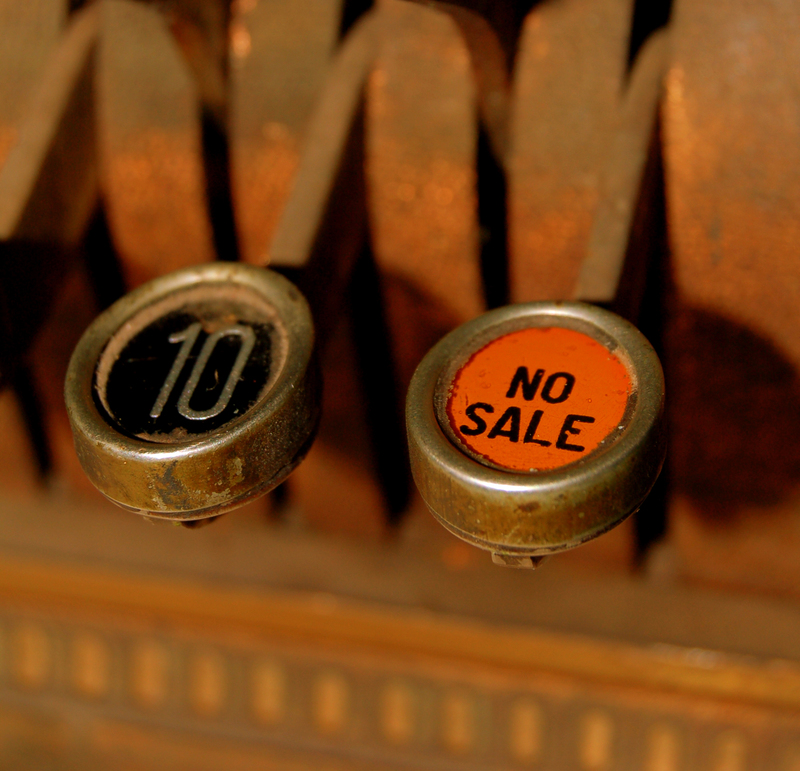 How to loose the sale….really. I just had a very frustrating discussion from a “sales person” who walked into my client’s business unannounced and without an appointment requesting to meet with the owner. He left materials (later I learned he wasn’t sure what he left there) which the owner saved and gave to me at our last meeting. This guy then emailed the client to follow up, which they also forwarded to me. This group, without naming names, provides direct mail to new homeowners in the area. According to the brochure, it was a three pronged approach they were offering, a book mailed to new homeowners monthly, a follow up postcard within a few months then a final envelope packet within 90 days. I emailed the guy to ask him to send me their rate card so I can even see if our budget was in the ballpark. You see as a marketing person (or a business owner if you can relate) we get a TON of sales people trying to sell us stuff. We could spend hours listening to every pitch that comes our way, so IMO vetting out the offer before hand saves everyone some time. Of course, he refused saying they “don’t have a rate card” and that he has “questions” first in order to provide any pricing. Really? How in this day and age can you not even give me a range and idea so as to not waste my time or his? OK I’ll play, I emailed him asking what he needed to know. Thinking if he has the info before our phone consult, maybe we can get to the point right away. So reluctantly I replied that I would do the 15-20 min meeting, the next morning 8:30am before my real work started for the day. He replied that I better have the brochure he left in front of me because he normally only does in person meeting. Again Really? This morning he called, started in on how wonderful his company was and the 100 year history or something to that effect. I stated that I was familiar with his company and that I read the material he left. Trying to give him the clue that I didn’t want to hear all about how awesome his company was. I really don’t care, I care about what your company can do for my client, that’s about it. Crazily, he said he didn’t know which material he left at my client’s and that he wasn’t sure what I was referring to. I tried to cut to the chase, how much, where does the list come from, what part of the program was included etc. Some answers he had, some he didn’t. Wait?! Didn’t he contact me?? Didn’t I email him what I wanted to know about? So he proceeded to say how he can’t answer my questions because he normally meets in person. Not sure how that is working. He said it depends on how many areas we want to be in and what part of the program we wanted. I said just send me a quote for one area and for two areas then, so we can decide. He then said we have a special pricing in June “the best pricing I’ve ever seen” he said. With less than two weeks left in June, I said don’t bother sending the special pricing, there is no way we will be able to make a decision and move forward in that time frame. Again, he said he couldn’t do that without his bosses approval. What?!? You can’t provide the pricing for your regular product. Really? Then he went on to say he would reluctantly put the price together but won’t include one of the pieces. Something about how everyone else does their own mailings and that the postcard option usually isn’t included. Again I say but isn’t that your program, the three prong approach? More replies of how he usually does this in person and he can’t do it and (my absolute favorite part!) how I wouldn’t understand what he sends to me anyway. Can I say Really?!? again! I’m now frustrated, really frustrated. It’s been 20 minutes and I STILL have no idea on the pricing. The only item I really needed. So he hears my ‘tone’ and tells me to calm down that there is no reason to get upset. Really? Cause I’m not getting any answers to a call I didn’t initiate. I feel as if his job is to answer my questions, not for me to sit and listen to his pitch about how great his company is. It went down hill from there. I said ok, I’ve had enough, done listening if you can’t provide any info I need. Then he hung up. Moral of the story for a sales person. Have some idea who your prospect is, what THEIR requirements are, and then tailor your pitch to THEM. I can’t stand when sales people expect me to do their job the way they want it done. If you as a salesperson, telling me I must meet with you in person to get a price, and that I’m incapable of understanding your proposal without sitting down with you in person, then I guess you’ve lost the sale… really. Jewels in Marketing Copyright © 2019.